After starring in the PUMA Bodywear Campaign, British actress and model Cara Delevingne poses for yet another sporty PUMA campaign. Posing for the PUMA Muse Trailblazer Campaign, the edgy blonde is fierce chic, and is photographed in a series of dynamic shots. 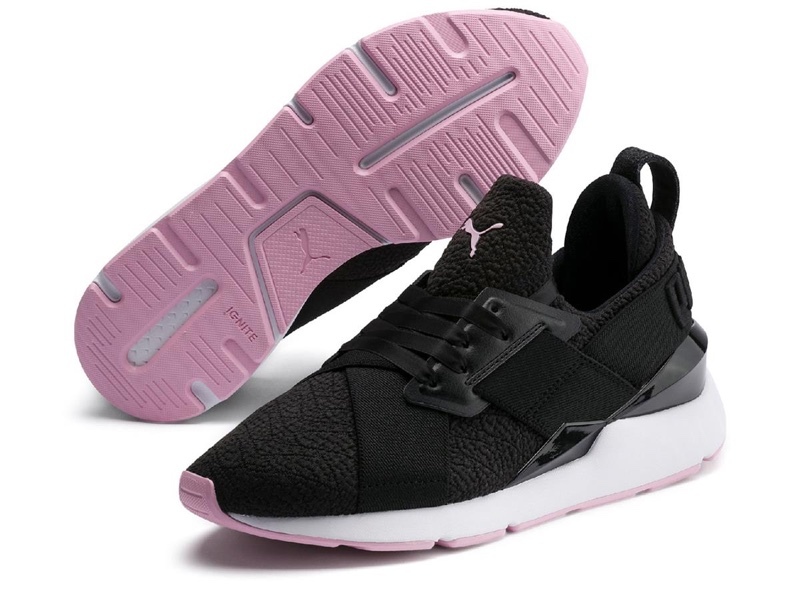 Updating its signature sneaker, PUMA brings the new slip-on style featuring elastic cross straps. The new sneaker is a clean and sporty design, and Cara wears the Muse Trailblazer with figure-flattering PUMA bodywear including tights, sports bras, jackets and hoodies.